Deepa Watsa on Too, too cute! My brief is to keep you up to speed on all aspects of India, right? 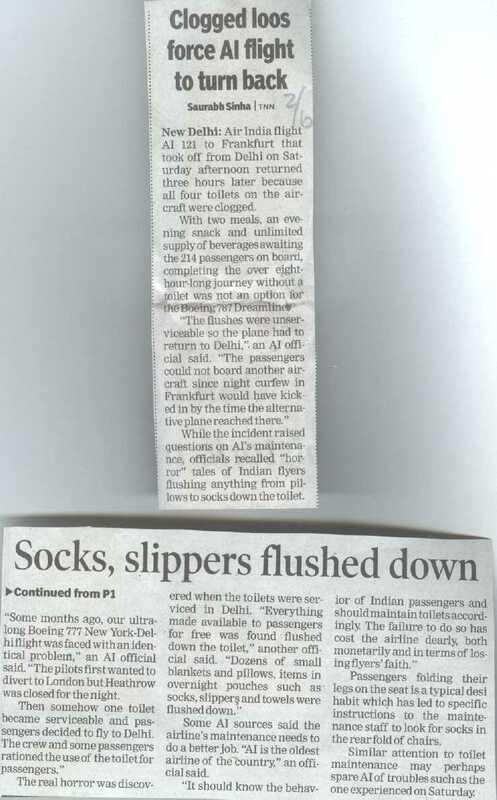 So this bizarre desire to flush freebies down the loos on Air India is therefore all part and parcel of your being-up-to-speed. If anyone (anyone?? please ??) can tell me why you would flush a pillow down a loo, I would be delighted to hear from you…I thought people simply stole things from planes, but clearly not.